AM 1/c Byron R. Jared, son of Mr. and Mrs. Theo Jared, graduated from Frederick High School. 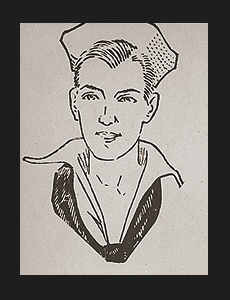 Entered Navy in July, 1942, trained in San Diego, Cal., Corpus Christi, Texas; served in Hawaii, the Solomons; was discharged. Awarded Asiatic Pacific Ribbon. Added Note: no picture was included in original publication.